30-31 October, Kroonspolder, Vlieland, Friesland, first calendar-year, ringed, photographed (F Majoor et al; Dutch Birding 38: 474, plate 722, 2016). The first Oriental Turtle Dove S orientalis dates from as recent as the winter of 2009/10. 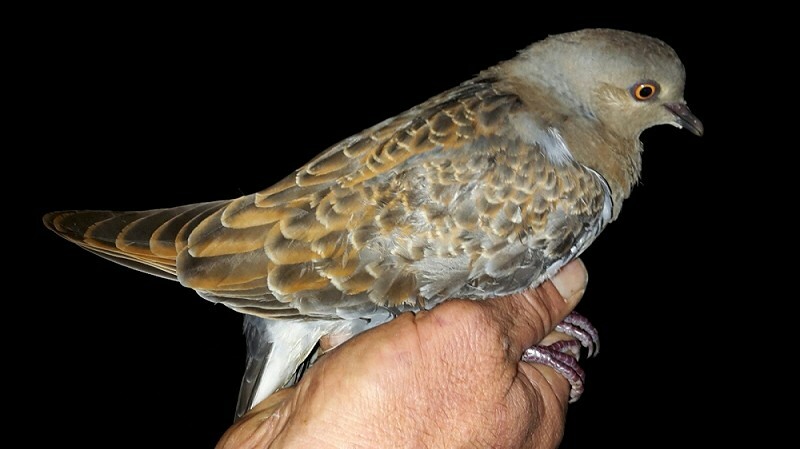 Since then, five more have been recorded of which two could not be assigned to subspecies; the other four were accepted as Rufous Turtle Dove. The 2016 bird was the first to be ringed. A bird photographed on Vlieland on 20 October 2012 (cf van Duivendijk 2016; cf Dutch Birding 38: 294, plate 458-459, 2016) has only recently been submitted. Annual Report 2016.